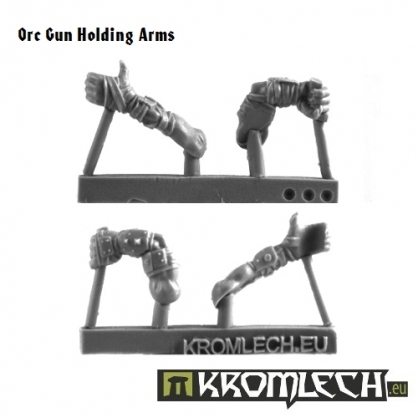 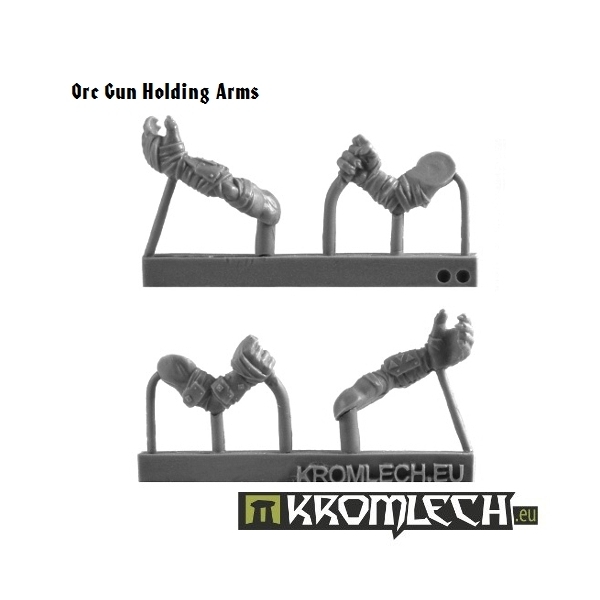 This pack contains five pairs of orc gun-holding arms. 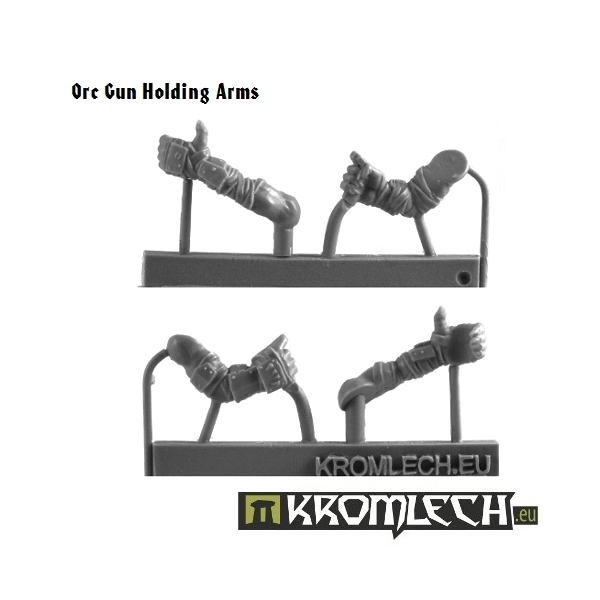 There are three different versions - you get all three and additional two chosen randomly. 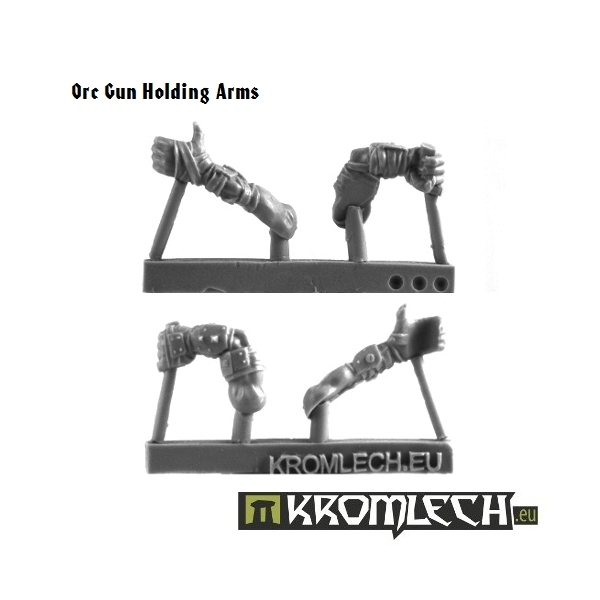 Gun holding arms fit all 28mm orc miniatures very well.